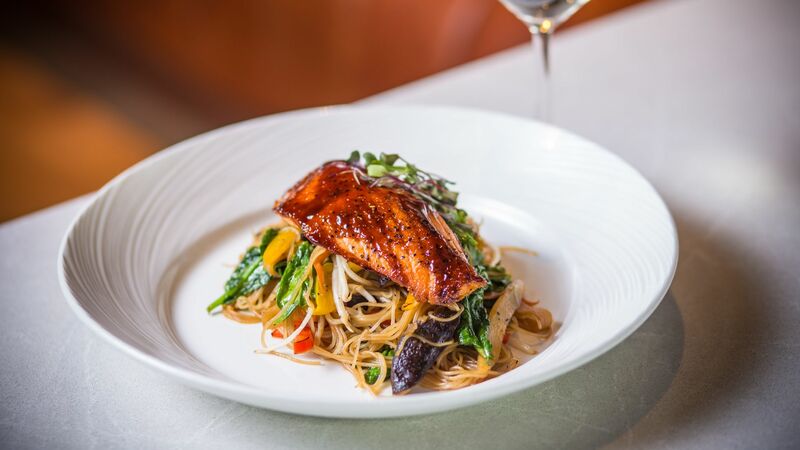 Fresh California coastal fare is never far away when you stay at the Portola Hotel & Spa at Monterey Bay, where we offer delectable Monterey dining. Our three distinctly different Monterey restaurants offer a range of dining options just steps from your guest room. Whether you’re in the mood for craft beer, a three-course meal, or sharing plates with family and friends, you’ll discover it’s all right here at the Portola Hotel & Spa. Inspired by his Italian heritage and many travels, Executive Chef, Danny Abbruzzese has created his own, unique style of unpretentious cooking. From sea to table, farm to fork, Chef Abbruzzese sources the finest locally grown and sustainable ingredients here at the Portola Hotel & Spa. Over the last two decades he has worked at many of the premier properties along California’s Central Coast, including, the Highlands Inn, Quail Lodge, Monterey Peninsula Country Club and two organic restaurants in Santa Cruz. Most recently, he assisted in the revamping of Aramark’s Asilomar Conference Grounds in Pacific Grove, California. His love of the natural bounty of the land and sea, fulfilled his dreams of living in such a beautiful location, and now Chef calls the Monterey Bay home. Explore the menus and culinary offerings of Chef Abbruzzese at the Portola Hotel & Spa! A standout among breakfast restaurants in Monterey, CA, The Club Room features a European breakfast buffet daily with made to order omelets, assorted pastries, bottomless mimosas and more. Dine in our bustling, fireside dining room or dine al-fresco on our outdoor pet-friendly heated patio. Reserve our wine-inspired private dining room for a special occasion or intimate get together. Learn more about The Club Room. 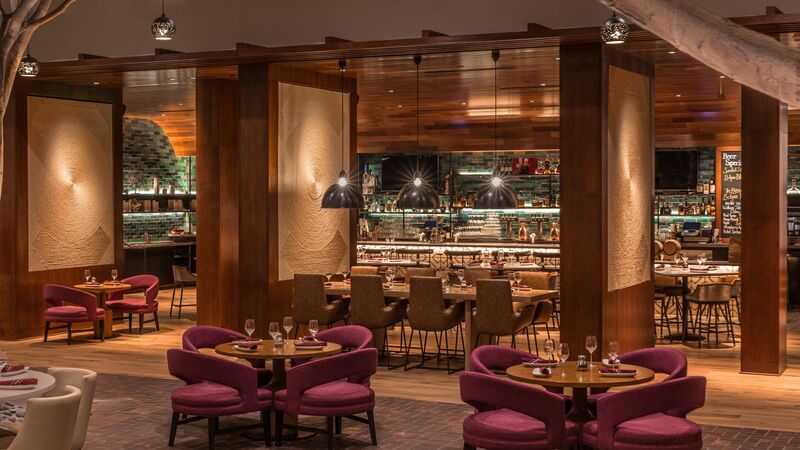 Our new restaurant and lobby bar welcomes patrons for lunch and dinner in the redesigned atrium lobby. Enjoy Chef Danny Abbruzzese's “California Cultural Cuisine” which reflects the melting pot of ethnicities that is exemplified in both California and America. The result is a wide-ranging, palate-pleasing menu of different flavor profiles unique to cultures from around the world, all created with sustainably conscious ingredients found throughout Monterey County. Learn more about Jacks Monterey. 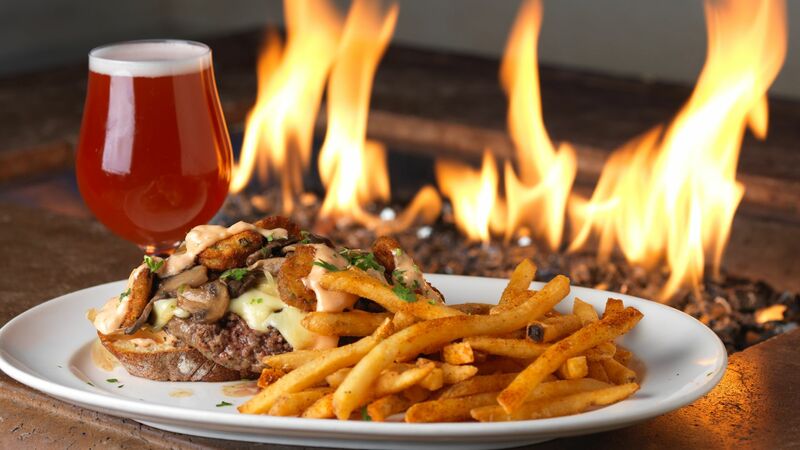 Monterey’s original craft brewery, Peter B’s Brewpub is the perfect place for enjoying a cold beer and delicious pub food, relaxing on the pet-friendly patio with fire pits or watching the game on one of our 18 HDTVs. Make new memories with friends and family when you explore Peter B’s Brewpub, a highlight in Monterey dining. Learn more about Peter B's Brewpub. Portola Hotel & Spa is proud to offer our guests and locals a Peet's Coffee in downtown Monterey near Fisherman's Wharf. Peet's Coffee sources directly from the world's finest estates, hand-roasting to order in small batches and making sure every cup is brewed as fresh and full-flavored as possible. Our Peet's provides a relaxing environment for our guests to enjoy coffee, tea, artisan pastries, sandwiches and more. Learn more about Peet's Coffee. The Monterey restaurants at the Portola Hotel & Spa provide everything you need for your next special occasion. From a formal dinner in our winery-inspired private dining room at The Club Room to an educational beer tasting or brewers’ dinner event at Peter B’s Brewpub, our event professionals can help you plan your next gathering. Plan special events at the Portola Hotel & Spa.